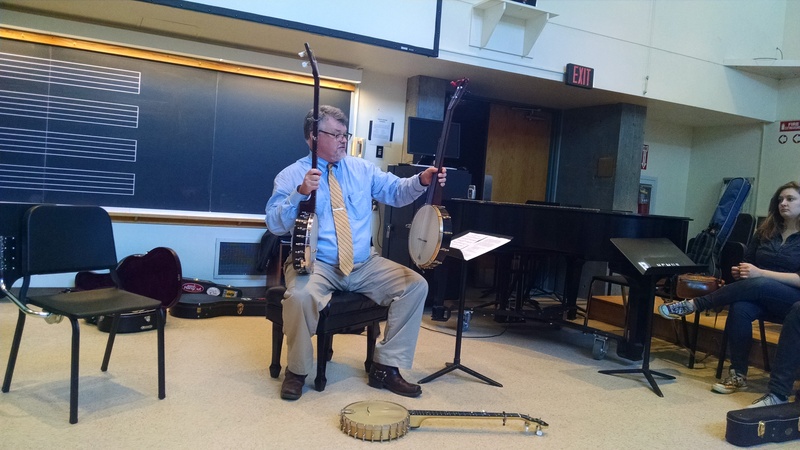 Dr. David Deacon is a folklorist, and musician. 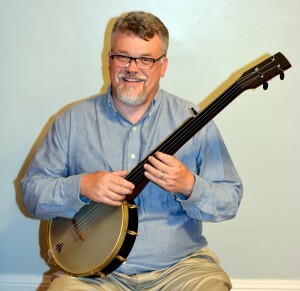 Raised in the folk music revival i n Philadelphia in the 1970s, he has played clawhammer banjo since 1974, and also plays Irish tenor banjo, fiddle, and guitar. 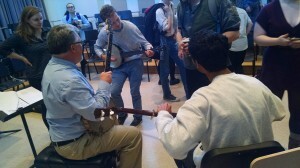 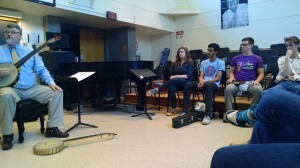 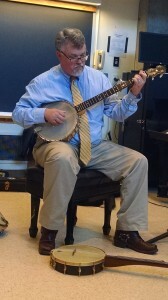 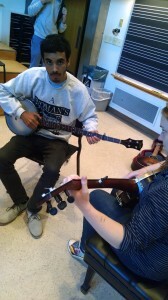 Deacon’s talk and performance covered the banjo in early popular and country music. 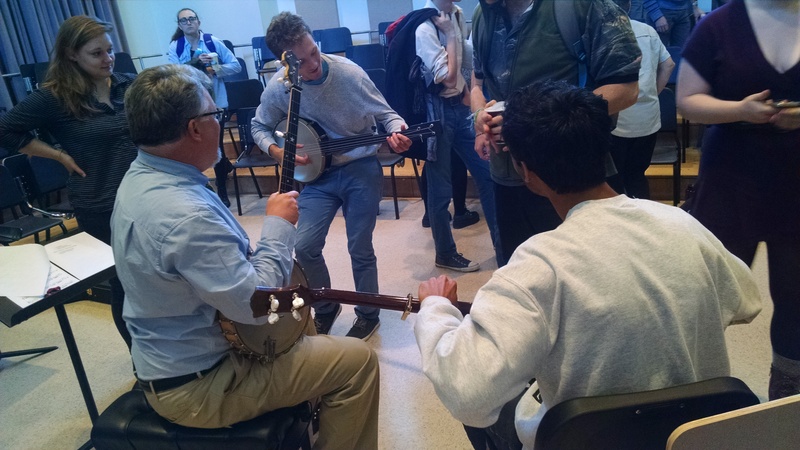 He focused particularly on clawhammer banjo, but touched on other styles including thumb lead two finger style, Charlie Poole’s three finger style, and Earl Scruggs’s three finger style. His lecture-demonstration on the banjo covered three major sections: the development of the five string banjo for minstrel shows in the nineteenth century and late nineteenth century refinements of the instrument; folk banjo styles and early recorded country music, stressing contributions by musicians including Clarence Ashley, Buell Kazee, Dock Boggs, and Charlie Poole; and finally the revival of interest in old-time banjo since the 1960s, and his own experience with the instrument over the last forty years.